The OLP-55 and OLP-57 SMART Optical Power Meters are designed for installing, testing, and maintaining singlemode and multimode networks and cables. The SMART Optical Power Meters define a new industry standard with a unique built-in auto-zeroing function for auto dark current compensation. This function significantly increases accuracy. 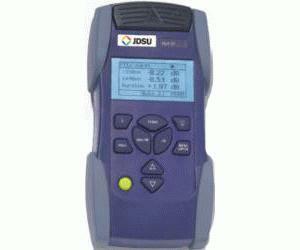 The OLP-55 and OLP-57 SMART Optical Power Meters can be part of a SMART Optical Test Kit. The SMART Optical Test Kits contain all of the tools, including instruments and accessories, necessary to perform professional-grade power or loss tests in the field.